Chairman Degnan, Director Foye. Commissioners. I appreciate the opportunity to speak. A bicycle is a resilient, sustainable and cost effective means of transport — one that deserves equal consideration with mass transit and the automobile. Earlier this month I’m coming home from a very long ride when I pull up to next to an Escalade Hybrid. The driver and I exchange pleasantries and check out each others’ ride. Later I looked up the specs. 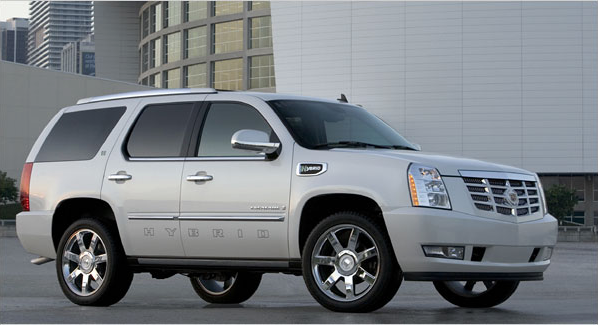 The Escalade weighed 6000 pounds, had a pair of 60 kilowatt electric motors in addition to a 332 horsepower V8 and gets 20-something miles per gallon on the highway. My bike and I weigh 185. I can generate 0.2 horsepower while burning 34 calories per mile or 912 miles to the gallon. Escalade Hybrid. Image NY Times. Perhaps he’d waited on gas lines after Superstorm Sandy and wanted a “Plan B”. Maybe his kids shared homework on global warming and secured a promised that daddy’s next car would “help save the planet”. Consider the analogy as you prepare to re-up your lease on the George Washington Bridge. Gas lines in Woodbridge, NJ. Image AP. In the aftermath of Sandy, which crippled primary means of transport, bike traffic across East River Bridges spiked from 13,000 trips per day to 30,000. Fortunately, the routes had been developed over the preceding decade; the commuters had become accustomed to cycling; and the bridges themselves had capacity to absorb the surge. Knowing that severe weather will disrupt future travel, and that the GWB is the only the bike-able connection between North Jersey and NYC, shouldn’t the Authority provision for its use as part of a regional “Plan B”? Williamsburg, Manhattan and and Brooklyn Bridges. Image Streetsblog. The “hybrid” option would also help Port Authority “save the planet” — or at least help meet its 2050 greenhouse gas reduction goals. An enhanced GWB would add enough cycling capacity to reduce annual gas consumption by 100,000 gallons and greenhouse gas emissions by 900 metric tons. That’s more than 15% of what NYDOT claims for its Clean Pass program for low emission vehicles (LEV) for the entire 40 miles of the Long Island Expressway. And considering that it takes takes two trips by a low emissions vehicle to offset a regular vehicle vs.one by bicycle, expand cycling capacity certainly would be far more cost effective than the $2.25-7.75 per trip subsidy that PA currently affords LEVs under Green Pass. 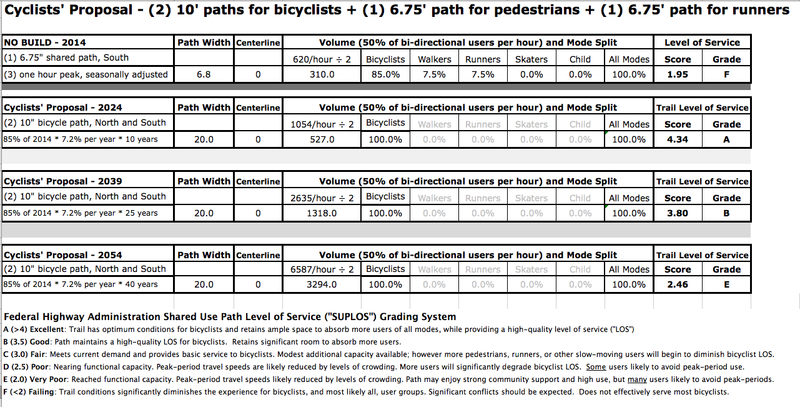 – Estimated annual capacity of Cyclists’ Proposal is 5,000,000 trips per year, or ten times current use of 500K bike trips per year. – By 2024, when the GWB paths are due to fully re-open, EPA will require cars and light trucks to average 54.5 miles per gallon. 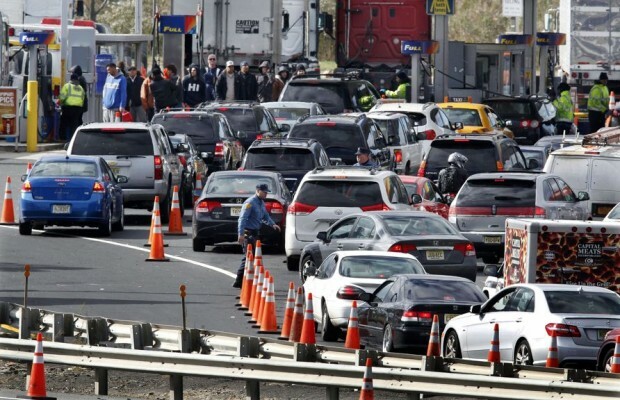 – In 2006, NYS DOT estimated that the Clean Pass Program for low emission vehicles for the entire 40 miles of the Long Island Expressway would result in savings in excess of 500,000 gallons of gasoline and the reduction of 6,000 tons of greenhouse gas emissions. – Clean Pass Vehicles eligible are those whose estimated US EPA highway rating of least 45 miles per gallon and meet the California Super Ultra Low Emissions Standard (SULEV). – Effectively, by 2024 when cars will be significantly more fuel efficient, Cyclists’ Proposal would create capacity to offset 20% of the annual fuel savings and 15% of the reductions to GHG emissions accorded to the Clean Pass Program for the entire 40 mile length of the Long Island Expressway.